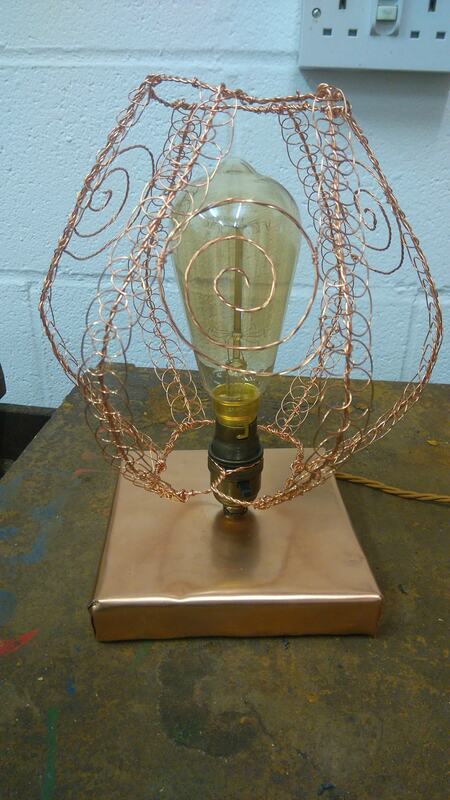 The bases are wood plated with copper, and have a solid brass lampholder in antique-finish and wire cable. The wire tops are made from copper wire. 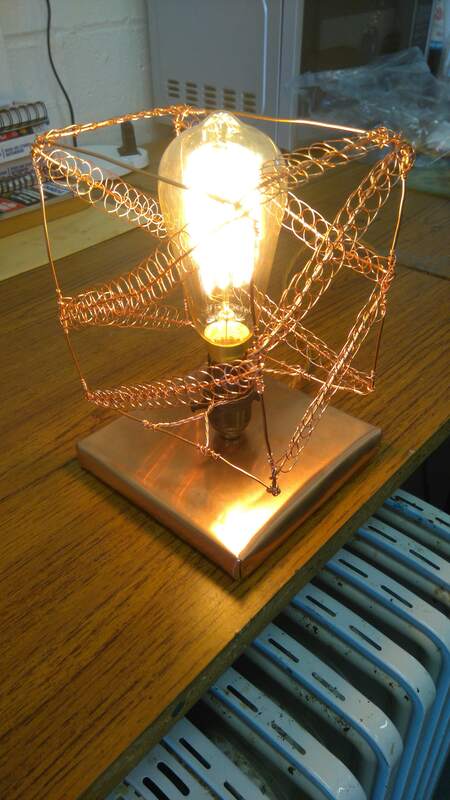 The wirework in lamp 1 and 2 has been made using a macrame technique. Other assorted lamps have been created in the shape of a pyramid, a flower and hands. 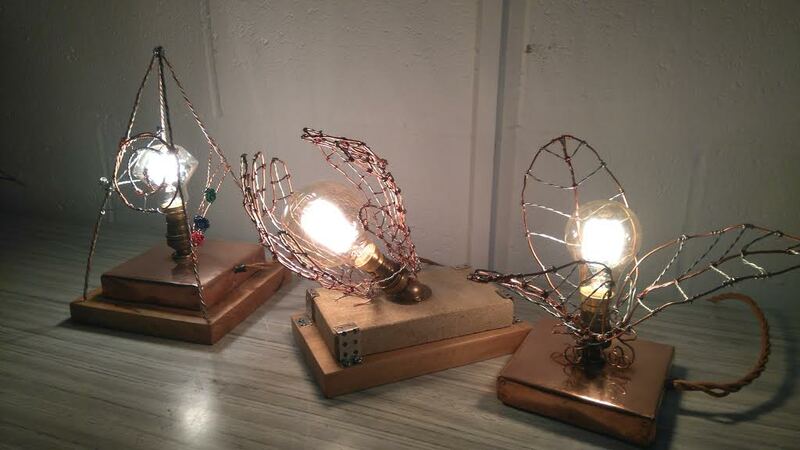 They contain vintage-style Edison lightbulbs.